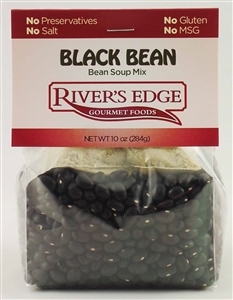 River's Edge Gourmet Foods' hearty soups (formerly Mrs. Britt's Oregon Kitchen) has made old-fashioned cooking easier. Nutritious and delicious, these soups make a good day better. These mixes can be prepared with or without meat. The soup freezes well and can thaw and reheat in just minutes. Each package contains a packet of herbs blended especially for each soup. No MSG, no preservatives, and no salt! Add your favorite veggies to make a hearty vegetarian soup. Copyright © 2013 River's Edge Gourmet Foods. All Rights Reserved. Ecommerce Software by Volusion.